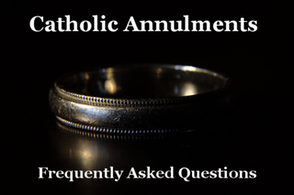 Often there is much confusion, misunderstanding, and questions regarding the work of Catholic Tribunals in marriage invalidity cases, commonly known as “marriage annulments.” We hope that this page will answer some of those questions. The Tribunal is first and foremost the official ecclesiastical court of the Roman Catholic Church, established in each diocese, under the direction of the Bishop and supervised by his delegate, the Judicial Vicar. The law we adjudicate is the Code of Canon Law of the Catholic Church, which has its foundation in the teachings of Jesus Christ. The fundamental law is the commandment of the Lord to love God above all else and to love one another as ourselves. 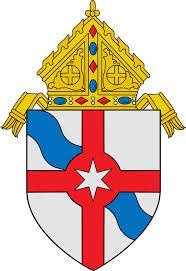 As the judicial arm of the Bishop, the Diocesan Tribunal cooperates in his ministry, namely, “the salvation of souls, which must always be the supreme law of the Church” (canon 1752). The official teaching of the Catholic Church describes marriage as a covenant between a man and a woman in which they establish an enduring and exclusive partnership of the whole of life, ordered to the good of the spouses and the procreation and education of children. Marriage is brought about through the legitimately expressed personal consent (marriage vows) of the two parties, of those who are capable, according to Church law, of giving consent. In unions where both parties are baptized, the marriage is also a sacrament. The Catholic Church has consistently taught that every valid, sacramental marriage which has been consummated is indissoluble. Although not every marriage is sacramental, every marriage (Catholic, Protestant, Jewish, non-believer, etc.) between those who are free to marry is presumed to be valid. This presumption is the case for every marriage, regardless of whether the parties are Catholic or not. How is a Declaration of Nullity Possible? What is a Declaration of Nullity (an Annulment)? A declaration of nullity or invalidity (commonly referred to as an ecclesiastical annulment) is a formal decision by the Church after a formal investigation (i.e. trial) by a Church court (Tribunal) that a particular union is neither a sacramental nor a valid marital union as understood and supported by Catholic canon law. It means that in the eyes of the Church, an essential element was missing in the union in question from the very beginning, thus invalidating the marriage from the start. This declaration does not deny that a real relationship or a civil marriage ever existed, nor does it imply that the union was entered into with ill will or moral fault. Rather, an annulment states that the union lacked at least one of the essential elements for a true, valid, Christian marriage. An annulment does not seek to establish guilt or innocence, but rather validity or invalidity. Does It Have Any Effects in Civil Law? A declaration of nullity (an annulment) by the Church deals only with the religious elements. In the United States, it absolutely has NO civil consequences whatsoever. Specifically, the granting of an annulment will not affect anything that is determined by civil law such as alimony, financial settlements, child custody, visitation rights, division of property, etc. Whatever the civil courts have ruled in these regards remains valid and unaltered by a Church declaration of nullity. Church law itself ensures the legitimacy of children. Children born of a couple who marry and divorce remain legitimate sons and daughters in the eyes of the Church regardless of the outcome of a tribunal investigation. Church law has always protected the legitimacy of children because they were born into a presumed valid marital relationship. Who Can Challenge the Validity of a Marriage? Normally, the two partners in a marriage have the right to challenge its validity before a Church court (Tribunal). The person seeking to have a union declared invalid and who initiates the process is called the Petitioner. The other party to the union in question is the Respondent, who may be in favor of the annulment, opposed to it, or somewhat ambivalent. Anyone (regardless of their baptismal status), who has been married and civilly divorced, may request a Tribunal to investigate their failed union. These requests are usually made by a divorced Catholic who wishes to remarry or by someone who wants to marry a Catholic (who is free to marry). Additionally, if a person wishes to be baptized or received into the Catholic Church and is in an invalid marriage, an annulment or similar ecclesiastical process is necessary before baptism or reception. Likewise, people who are asked to be sponsors or godparents in the Church must be in a valid marriage, so sometimes they are motivated to seek an annulment to fulfill this requirement of the law. There are some who are motivated only by a desire to seek peace and healing in their lives. It is necessary that a final or absolute civil divorce decree (not a Massachusetts-issued nisi decree) be granted before the Church’s investigation into the union in question may begin. How Does One Begin the Annulment Process? * the majority of witnesses reside in the territory of the Diocese of Fall River. If the Fall River Tribunal is not competent to consider your case, we will direct you to the proper Tribunal. Parties who believe that their marriage is invalid should contact their parish priest, deacon, or another pastoral minister for a meeting and to receive the initial petition and paperwork. Why Might a Marriage Be Declared Null? There are many reasons a marriage might be declared null by the Tribunal. In general, some essential element(s) of the marital consent was so gravely flawed or lacking that a valid marriage was impossible for one or both of the parties at the time they attempted marriage. A marriage might be found to be null by reason of an incapacity of one/both of the parties to contract marriage ➀ because of an insufficient use of reason, ➁ because of a grave lack of discretion of judgment, or ➂ because of an incapacity to assume and fulfill the essential obligations of Christian marriage. A marriage might also be found to be null by reason of the existence of an impediment at the time of the exchange of vows. Among the possible impediments are: ➀ impotence, ➁ existence of a prior bond of marriage, ➂ consanguinity or affinity, ➃ error concerning a quality of a person, ➄ fraud, ➅ conditional consent, ➆ force or grave fear, and ➇ simulation. Why Go Through Such an Involved Process? The Church believes that marriage is an intimate community of life and love which was instituted by God Himself. In the Judeo-Christian tradition, God’s relationship with His People has often been likened to a nuptial covenant. Jesus unfailingly upheld the indissolubility of the matrimonial union, as we read in Matthew’s Gospel: “therefore, what God has joined together, no human being must separate” (Mt 19:6). The Church has never taken this injunction lightly. In order to be faithful to our Scriptural tradition, we believe that, before we declare a marriage to be null, we must be as certain as we humanly can that this is, in fact, the case. As described above, all marriages are considered to be valid in Church law, unless and until they are proven to be invalid. If you have further questions, please seek the assistance from your parish priest, deacon, or pastoral minister. Alternatively, you may contact the Tribunal directly or visit our website. Our staff will be pleased to offer whatever help possible. * Annulment: The Wedding That Was by Monsignor Michael Smith Foster, J.C.D.